The simpliest shrimp paste relish that I've first learnt from my childhood time. It is usually prepared shortly before serving, just enough for one meal only. 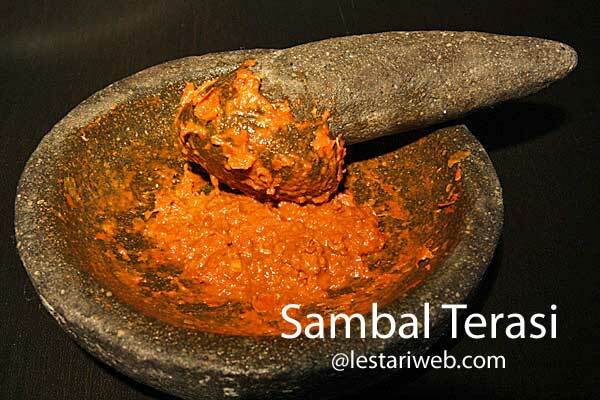 This sambal is good for beginners ;-). Sambal Terasi is good as a dip for raw vegetables. 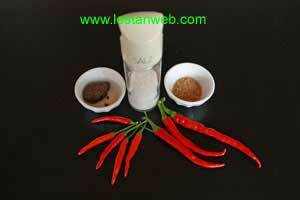 1Put the chillies in a grinding stone ( ulek-ulek) or use mortar & pestle and grind until smooth. 2Add the roasted shrimp paste, grind them again. Stir to mix. 3Adjust the seasoning, add the salt & sugar (if necessary). 4Serve right away with rice, Fried Tempe or Tofu or Fried Chicken and Tamarind Soup.